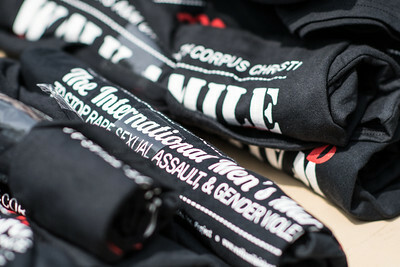 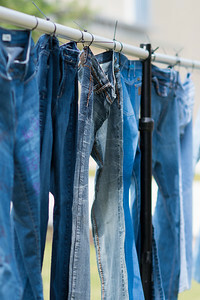 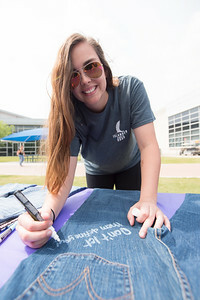 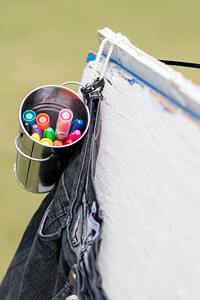 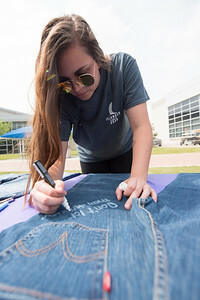 Sophia Zaner writes a supportive message on a pair of jeans during Denim Day, part of Sexual Assault Awareness Month. 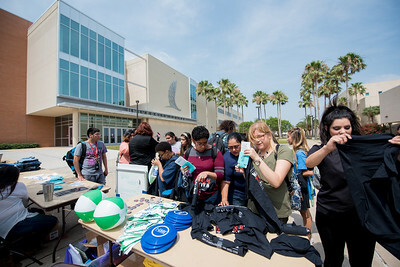 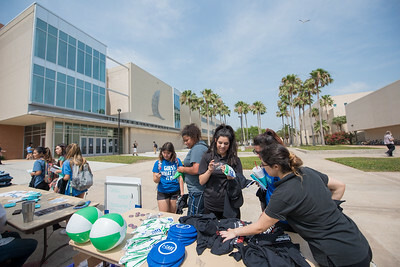 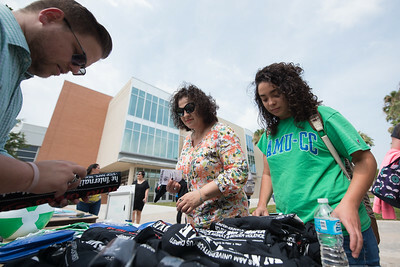 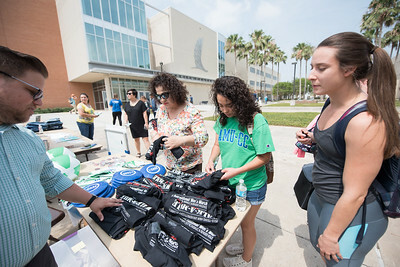 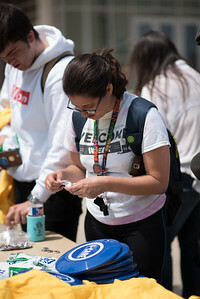 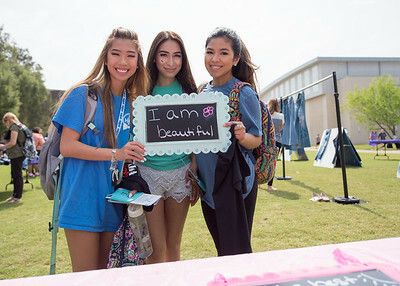 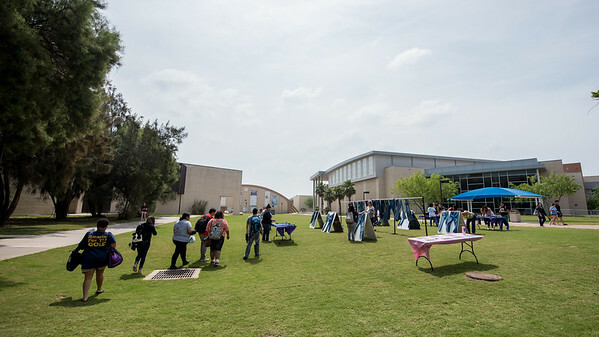 Lilly Truong (left), Desney Torres, and Victoria Trevino pose for a photo during the Denim Day event on the East Lawn. 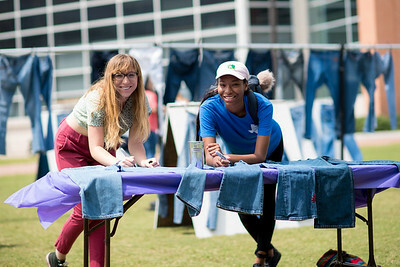 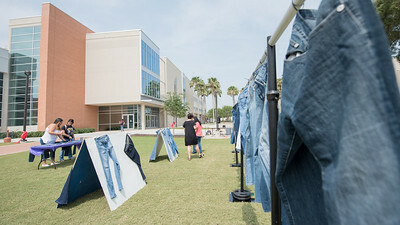 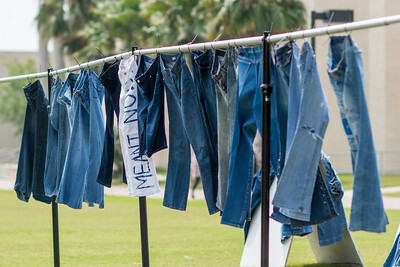 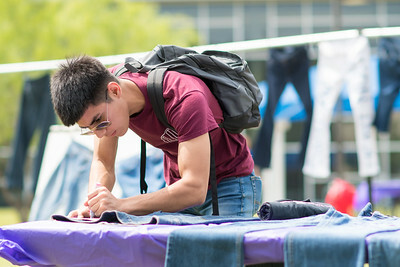 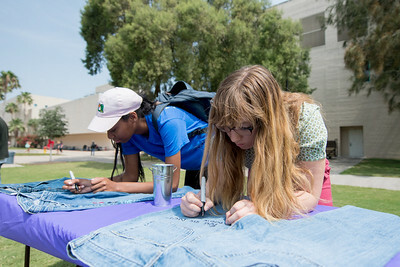 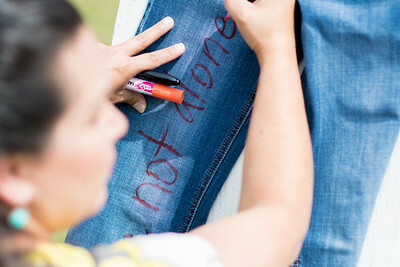 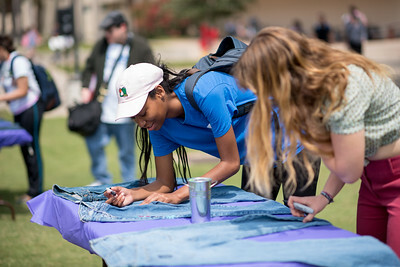 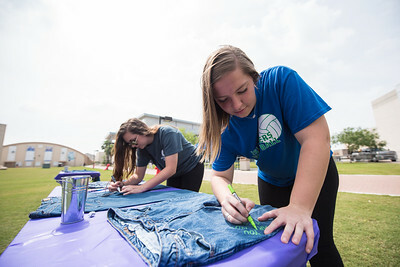 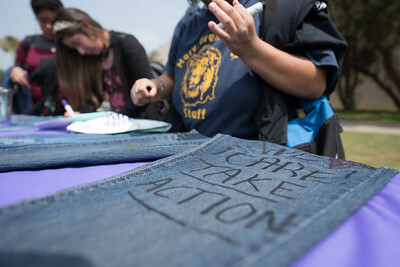 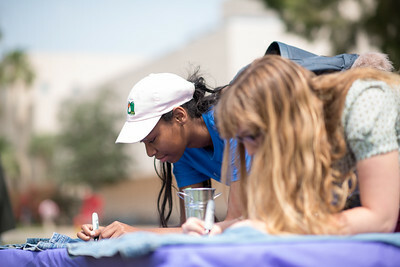 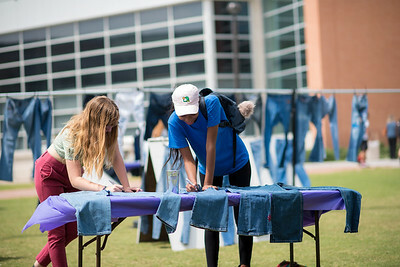 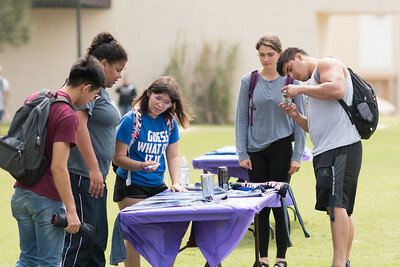 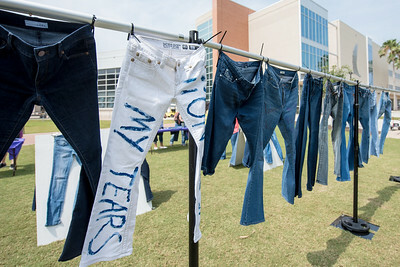 Olivia Whitehurt (left) and Mia Greene write a positive message on a pair of jeans during the Denim Day event on the East Lawn.